Nothing really new on the Tristan front. Flushing and wrapping. He is sound as a bell to the left, even on a tight circle, but still a smidge off to the right at the trot and canter. 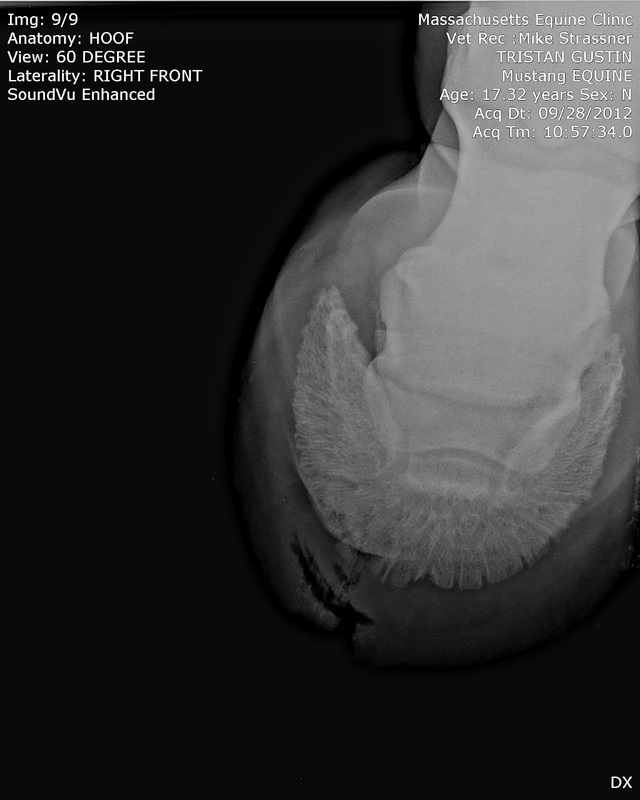 It looks clearly like a concussion sting, as the farrier and the vet both predicted, from the foot just moving a bit. He looks fine at the walk and is obviously comfortable enough to bear full weight and go for turnout. I could probably walk him on the trails without consequence but I have discovered over the last few weeks just how fragile feet can be, so I am erring on the side of caution and giving him time to grow and get more stable before I stress things. 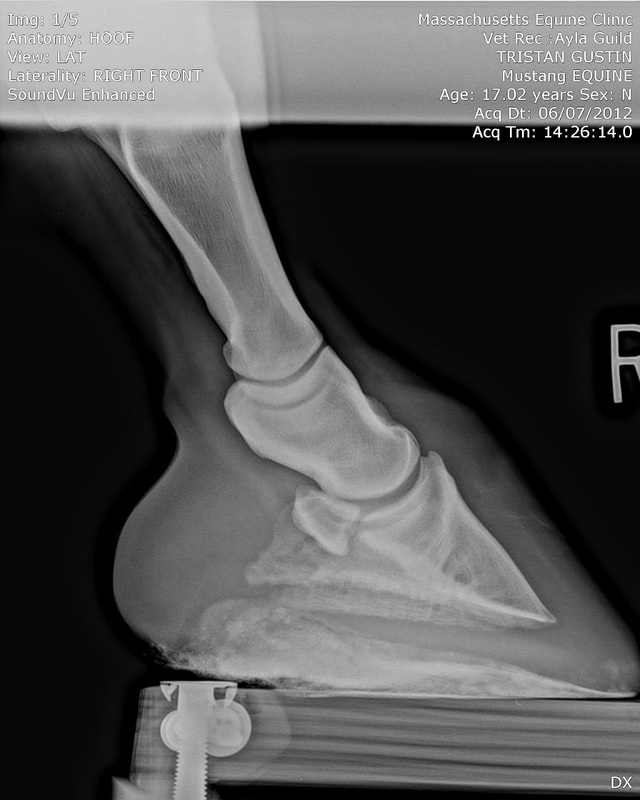 In the meantime: the vet emailed me the rads of Tristan’s feet, hooray! 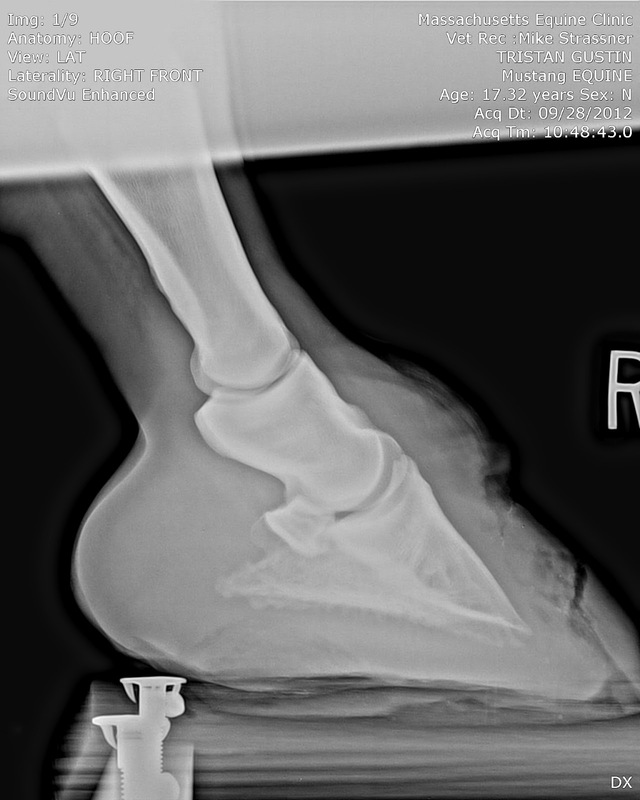 First, from June 7: clean foot for comparison. And now, with holes. You can see the top hole, and the bottom hole, and the track all the way down to the sole. And the top-down view of the hole, showing its width as well. Eek.